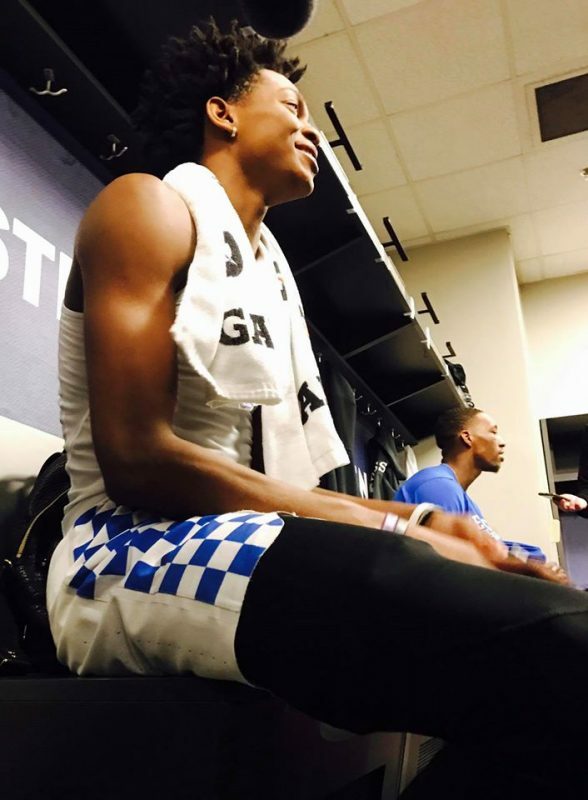 Congratulations to the University of Kentucky Wildcats, the champions of the Southeastern Conference after an 82-65 victory over Arkansas in the SEC Championship game Sunday afternoon in Nashville. Photographer Wade Harris is again on the road with his favorite basketball team, capturing images of the Cats both on and off the court. Check out his latest photos from the 2017 postseason, including the celebration following the SEC Championship game. Wade is also a contributing photographer for Kentucky Living and a judge in our Photo Contest. 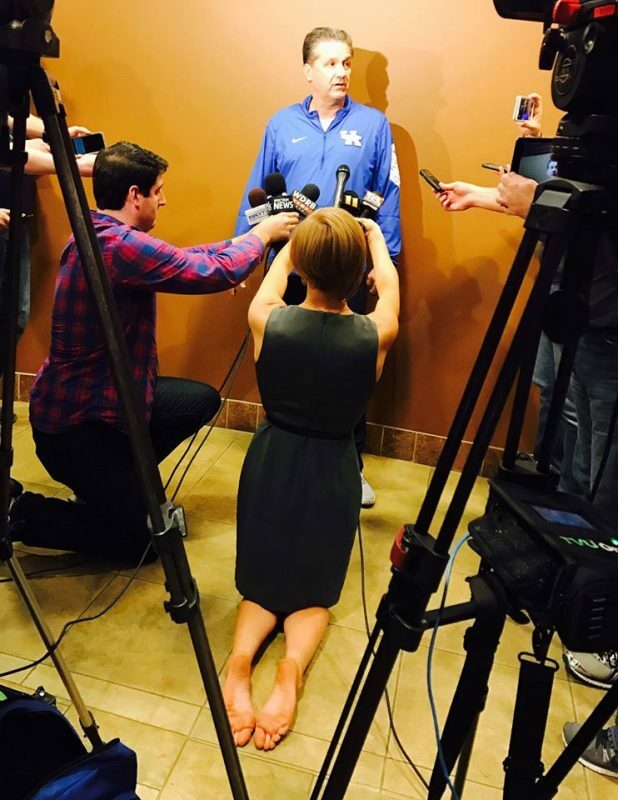 As University of Kentucky basketball fans dial in to follow the Wildcats in the NCAA Tournament, a select group of people are with them every step of the way, the Kentucky media. So, what’s it like to join the team on the road? Kentucky Living caught up with veteran photographer Wade Harris who is in Des Moines to cover both UK and Indiana University in the NCAA Tournament for WHAS-TV in Louisville. 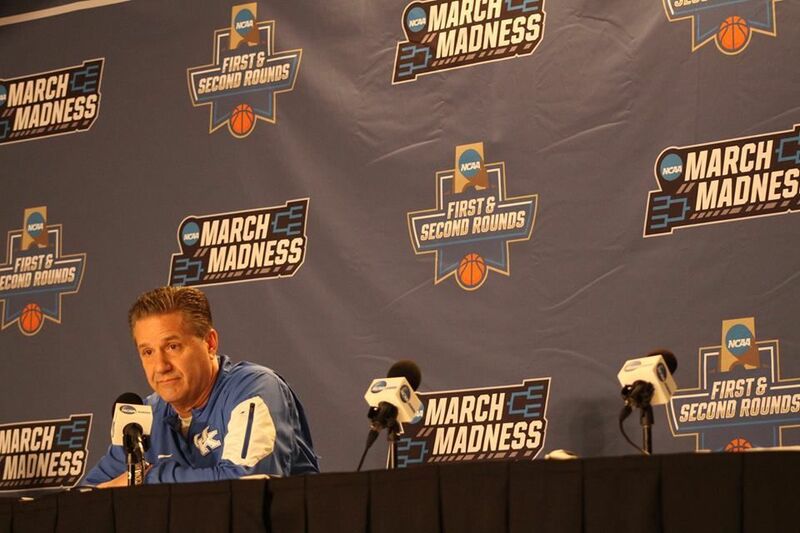 Kentucky Living: We know this is your job, but—as a Wildcat fan—is it fun to be with the team in the NCAA Tournament? Wade Harris: This is definitely the best part of my job. I look forward to it every year. It’s still work, but it doesn’t feel like it. I have traveled to cities and experienced things I never thought I would. I meet new and interesting people along the way and see a lot of old faces, too. Every March is like a mini-reunion. Covering the Cats is like touring with a rock band. They are the center of attention everywhere they go. It can wear on you, though. I could be gone for as little as one week or as many as three. You just never know. I miss my kids, my dog, but there is nothing like being right there with your favorite team during the NCAA tournament. 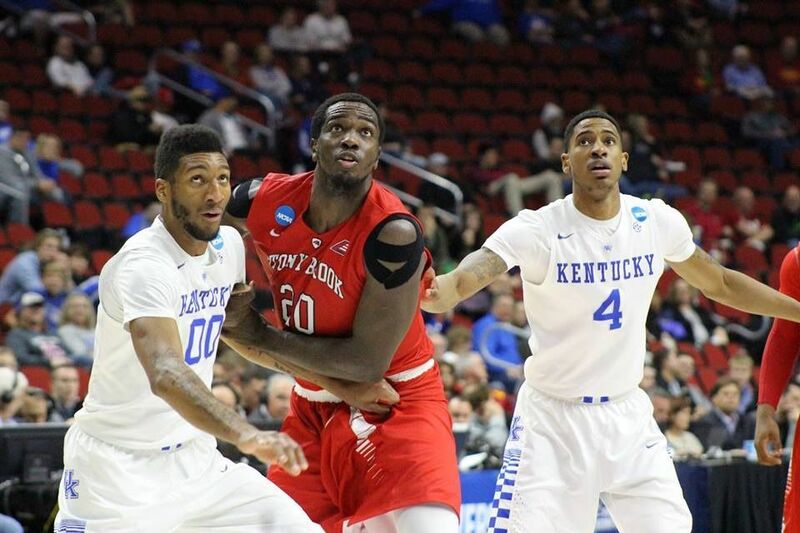 Kentucky Living: How far do you have Kentucky advancing in your NCAA bracket this year? Wade Harris: I have Kentucky going all the way. I pick them to go all the way every year. And based on the last few years (4 of the last 5 Final Fours), it hasn’t exactly been a bad choice. I just can’t pick against them. 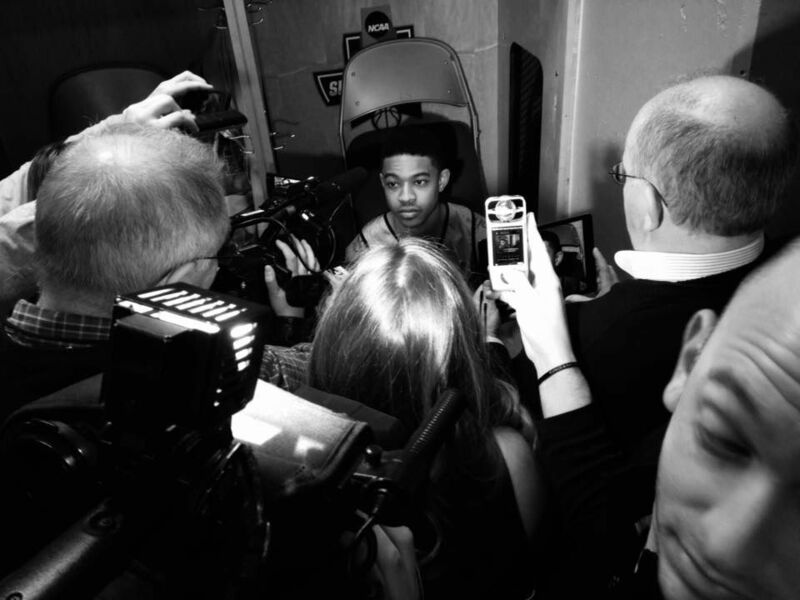 Kentucky Living: What’s your most memorable moment covering Kentucky basketball? Wade Harris: My most memorable moment was, of course, the 2012 championship, but there have also been the ones where the team exceeded expectations. The 2011 team that knocked off the 1st and 2nd seed to give Coach Cal his first Final Four with Kentucky. And the 2014 team that entered the tournament as a #8 seed and proceeded to eliminate the three teams from the previous Final Four (undefeated Wichita State, defending champs Louisville, and Michigan) on their way to their 3rd Final Four in four years. The tornado that hit the Georgia Dome during the SEC Tournament in 2008 ranks up there, too. 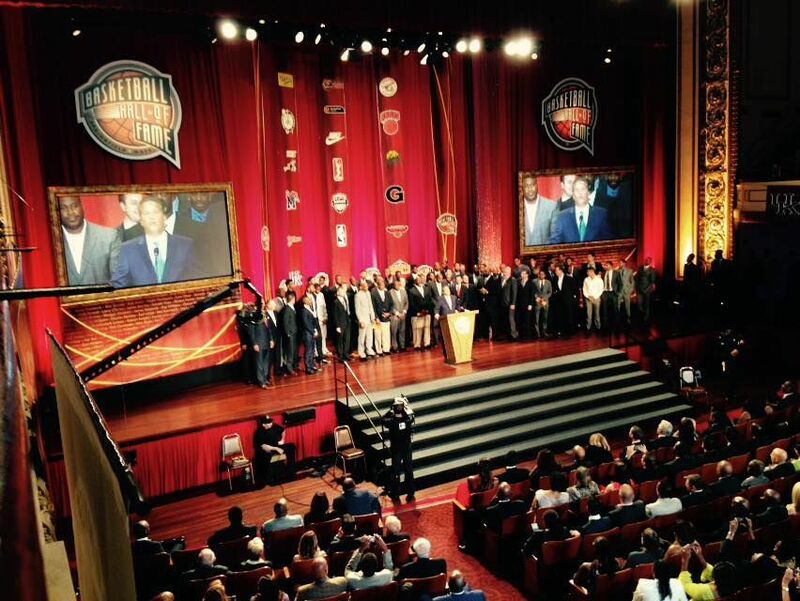 I also enjoyed covering Coach Cal’s induction into the Basketball Hall of Fame last year. I didn’t really comprehend the importance of this honor until I was there watching all these NBA and college legends walk the red carpet. And then when Cal invited all his former and current players on stage, it was a sight to see all the lives he has touched and all the lives he has changed over his coaching career. 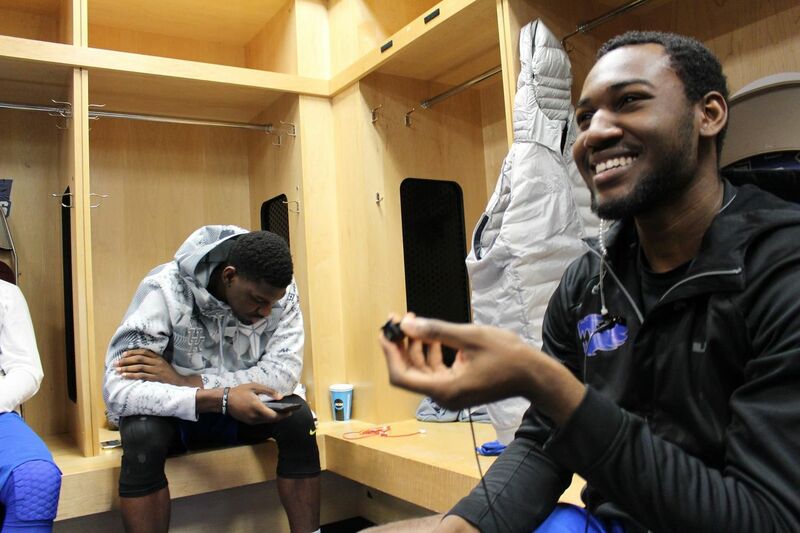 Kentucky Living: What was the worst moment covering UK basketball? Wade Harris: I guess the worst moment would be the loss to Wisconsin in 2015. Enough said. Either that or the double overtime loss to Michigan State in 2005. That win would’ve put both Kentucky and Louisville in the Final Four in St. Louis. It would have also given Tubby Smith his second Final Four. 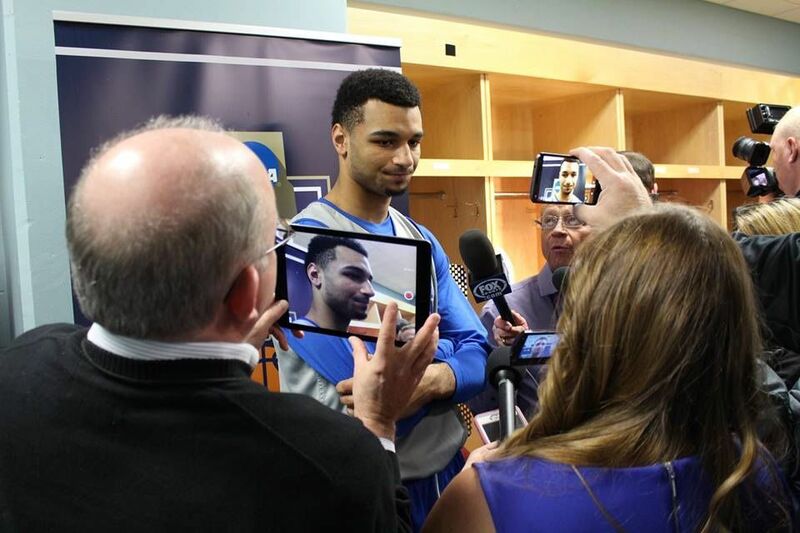 Kentucky Living: What is the most challenging part of covering the NCAA Tournament? 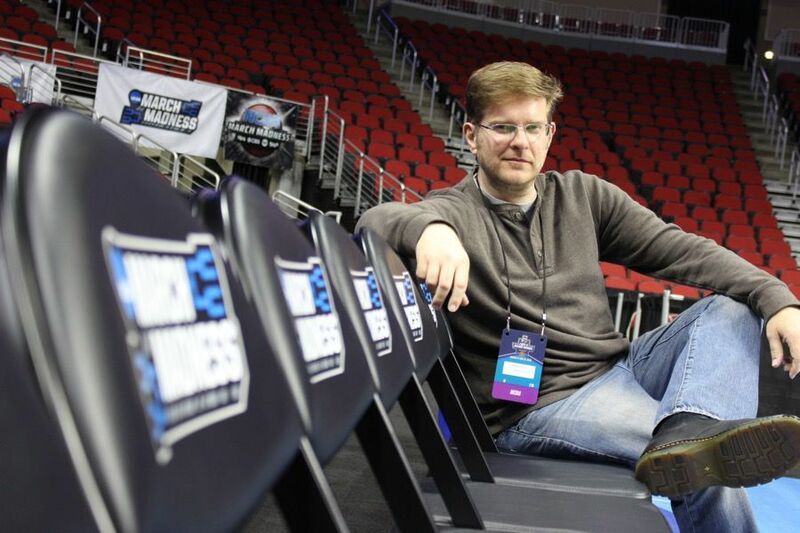 Wade Harris: One of the most challenging parts of covering the tournament is time management. There are a lot of things going on at the same time. You can sometimes find yourself having to cover two locker rooms simultaneously or having to report on a game that is still going on, and you’re always up against a deadline. You have to figure out how to tell the best story, the best way, but in the shortest amount of time. I’ve worked with some of the best people in the business and that makes all the difference in the world. Logistics can play a big part, too. That walk from the locker room, to your work station, to your live shot just depends on the venue. In arenas, the space is more confined. When you are covering games in domes, things are a lot more spread out. It was a good 15-20 minute walk from inside AT&T Stadium in Dallas or NRG Stadium in Houston to the satellite truck compound outside. And that is a lifetime in TV news. The locker room can be a little tricky sometimes, too. When the players come off the dais, they are greeted by the masses. (Rock stars.) You have to position yourself carefully to get that player you need. They have assigned lockers, but they don’t always go to that locker. It becomes a cat and mouse game. And depending on the size of the locker room and the size of the media contingent, you can get shut out real quick. Kentucky Living: UK has fans across the world. Do any particular ones stand out? Wade Harris: There are UK fans everywhere. One couple I was fortunate to meet was in Atlanta in 2012. Reporter Mike Colombo and I were interviewing fans at the SEC Tournament when we were tipped off that when the team comes to town, their uniforms are washed (not at the hotel or the arena), but at the home of David and Diana Snelton. It all started in 1995 when then equipment manger Bill Keightley called the UK graduate asking if there was a laundromat close to the team hotel in downtown Atlanta and she suggested an alternative. So, we traveled to their home in the suburbs, watched the process in person, and shot a feature story on it. Kentucky Living: Who is your all-time favorite UK player? Dominique Hawkins, right, is one of Harris’ favorite players on the current team. Wade Harris: I don’t have an all-time favorite player. I tend to pick a favorite player from each team every year and right now it’s Dominique Hawkins. This kid answers every question with the biggest grin on his face. He truly is just happy to be here. He is living his dream. Kind of like me. Wade Harris was born and raised in Bowling Green, and attended WKU. He has been a news photographer for 20 years. 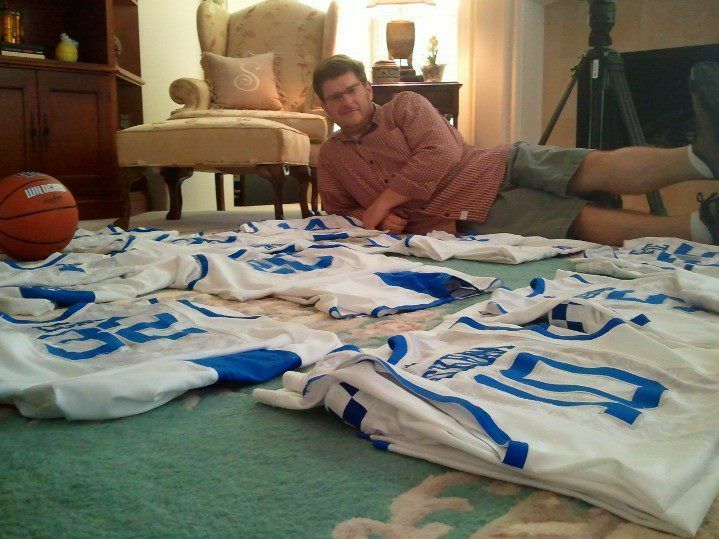 He is a 2-time Emmy and AP award winning photographer, who enjoys watching and covering Kentucky basketball. He has two wonderful children and a great dog that have to deal with being photographed on a daily basis. You can contact him at www.lunchboxlens.com.